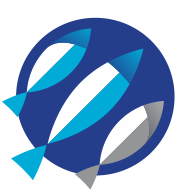 We are the sole owners of the information collected on our website (www.iuufishingindex.net). Under no circumstances will we sell or rent this information to any third party. For internal and member-to-member communication. The security of your Personal Information is extremely important to us, but please remember that no method of transmission over the internet or method of electronic storage, is 100% secure. Should you suspect or be concerned about a breach in data, please contact us immediately.